Yay, I finally have some projects to share with you this week. WooHoo!! I had some free time this weekend so I did some stamping, most importantly I worked on my Convention Card Swaps. I'll be leaving to the Stampin' Up! Convention in Utah in one week. I am sooo excited!!! So the first share I have for today is actually a scrapbook page I made at my 2nd level upline's house, Marcella. You can check out her blog by CLICKING HERE. 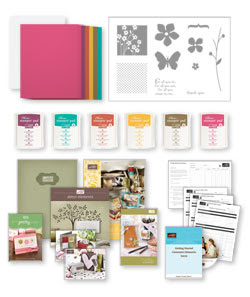 Several of Marcella's downline have signed up for a monthly Demo Scrapbooking Club held at her home. 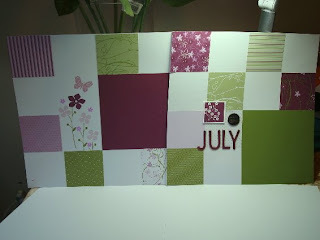 The page I'm sharing today is one of two 12x12 double page spreads that she designed for us. I loved this page and the colors so much! I apologize for the poor lighting in the pictures, but I had a difficult time photographing these pages even though I used my OTT lamp and it was the middle of the day! 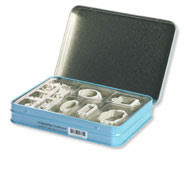 The set we used to complete the pages was the brand new For All You Do stamp set. I am in love with this set. I know I have lots of butterfly sets but I just love butterflies! It's the closest thing Stampin' Up! has to faeries so I have to buy them all. Hee,hee. Here's a shot of the first page, I really liked this layout a lot. The little square pieces were like making a puzzle. LOL But it was fun and easy to put together. Here is a close-up of the stamped images that were used from the For All You Do Stamp Set. The colors used were Rich Razzleberry (New In Color), Orchid Opulence, Pale Plum and Old Olive. Don't they all work well together? And the butterfly, I just love the butterfly with the little spots on it! Now here's the second page in the layout. Also lots of fun to make. 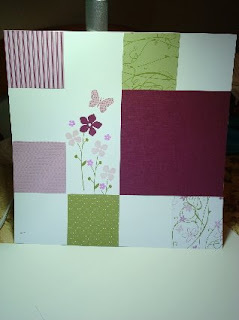 The beautiful DSP that was used to make the small squares is the brand New Cottage Wall Designer Series Paper. I fell in love with this paper! Lastly, here is a close-up of the embellishments on this page. "July" was spelled out using the On Board Loads of Letters and we colored them in with a watercolor brush and Rich Razzleberry Classic Ink Refill. It was so easy to color them and they dry fast! The jumbo eyelet is from the Retired Soho Designer Hardware Collection. You can't really see what the eyelet says but it is "Fab-u-lous adjective, amazingly good; wonderful; superb. I really liked adding that touch to the page. 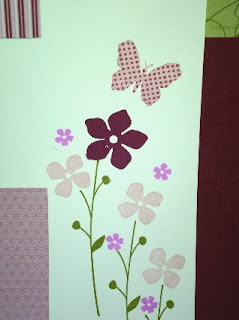 The flowers were also stamped in Rich Razzleberry Ink onto Whisper White Cardstock, then cut out using the Paper Snips and then adhered to the page with Stampin' Dimensionals. I hope you enjoyed looking at these pages. Check back on Tuesday, I'll be sharing the double page spread we made at Marcella's. Don't forget, now is a great time to join my Stampin' Up! Team/Family and start earning some extra income. CLICK HERE for all the details! Have a wonderful Monday and Happy Stampin'! This week's Deal of the Week: Styled Vanilla Hodgepodge Hardware Who doesn't love a little hardware - especially when it's on sale! Get the Styled Vanilla Hodgepodge Hardware for just $18.99 (over 30% off the regular price of $29.95)—only July 20-26! 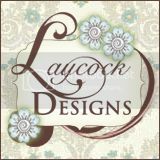 You can EMAIL ME to place an order, CALL ME, or visit my DEMO WEBSITE and place an order 24/7! Sorry I haven't been stamping lately but there has been no time! I hope to get some stamping done this week, and I do have some scrapbook pages to share and I need to get started on my convention swaps! So stay tuned for some stamping projects real soon, I promise! Have a great Tuesday, and if you're in Southern Cali, try to stay cool. 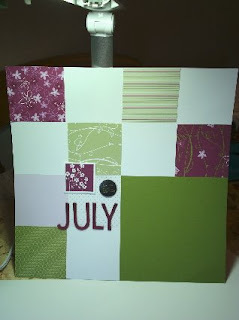 This week's Stampin' Up! 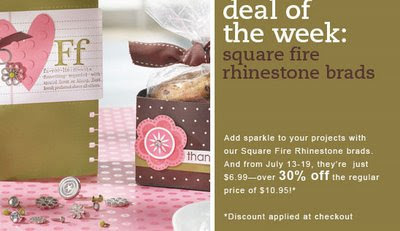 Deal of the Week is Square Fire Rhinestone Brads in Pink, Red, Pumpkin, and Yellow. Sale price: $6.99 (regularly $10.95). This offer ends Monday, July 20 at 9:50AM (MT)/ 8:50AM (Pacific). CONTACT ME to order or visit my Stampin' Up! Website to place an order 24/7. 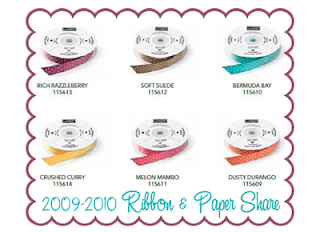 As a reminder, there are still spots available for my Ribbon Shares, so CONTACT ME or CLICK HERE to place an order. 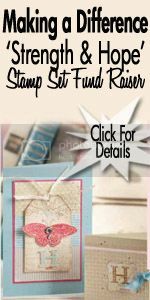 Oh, and don't forget that you can join my Stampin' Up! team for only $85 starting tomorrow! CLICK HERE for more info. The second Deal of the Week is now going on through July 13! What is it? 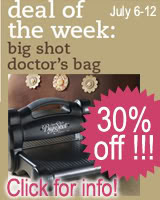 Why none other than the Big Shot Doctor's Bag at 30% OFF the original price! How great is that?! This bag is big enough to carry your Big Shot and lots of the dies and other supplies needed for either a workshop or a crop! Click on the image below to view details about this promotion. Here's a picture of what the bag looks like, in case you haven't seen it. Isn't it cute! I love the checkered background and it's size, it is sooo roomy! The regular cost of the bag is $69.95 but with the 30% Off, it can be yours for only $49.99. You have until 9:50AM on July 13 to place an order. If you have any questions please don't hesitate to ask. Feel free to Contact Me or Click Here to place an order 24/7. Join Stampin' Up! for $85!!! Of course anytime is a great time to join the Stampin' Up! family as a demonstrator, joining during July and August is especially sweet! Starting your own Stampin' Up! business means free and discounted products, plus a little extra cash--and who couldn't use that right now? 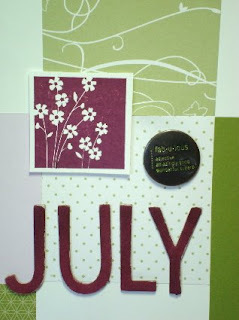 Plus, from July 15 - August 31, you can become a Stampin' Up! demonstrator for only $85! Extra income. You'll earn extra income based on your sales and recruiting--how much extra income is up to you. Maybe you just want enough income to pay the electric bill every month, or maybe your goal is bigger--the monthly payment for your new car--it's your decision! I would love to have you join my Team. So, for more information, Click Here to email me with any questions! Hi Stampers! Happy Fourth of July! I just wanted to share the Deal of the Week for July 1-July 5. I know I'm late in posting this but I have been busy every day so I apologize. 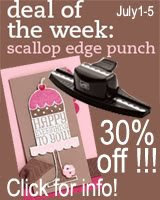 So the Deal for this week is the Scallop Edge Punch which is available for $10.99, that's 30% off the original price! This deal is available until tomorrow, July 6 at 8:50am. 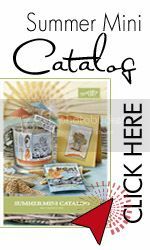 You can place an order through my Stampin' Up! website by Clicking Here or you can Email Me or call me. As a reminder, I am still offering the Ribbon Shares. You get 3 yards of each of the NEW In Color Ribbons for $15. Click Here for more details. Well, I hope everyone has a fun and safe 4th of July! This share includes 3 yards each of the 1/2" Poka-Dot Grosgrain Ribbon in all of the NEW In Colors (Rich Razzleberry, Bermuda Bay, Soft Suede, Crushed Curry, Dusty Durango, and Melon Mambo). This ribbon is double sided, one side is polka dotted and the other is solid, that's like 2 ribbons in one! The cost will be $15 for the 3 yards of each ribbon. If you decide to order two shares, the cost is $30. HOW TO ORDER: You can either email me at AngelFae20@aol.com or use the "Buy Now" Button below. If you choose to email your order then please include your name, e-mail address, shipping address, phone number(s) and a detailed summary of your order. I will then send you a Paypal invoice via e-mail.I will order the ribbon for the shares on or after July 15 as soon as groups of five for the ribbon are complete (you will be added to a group when I receive your Paypal payment). Backorders and shipping time from Stampin' Up! to me are out of my control, but you can trust that the cutting, sorting, and mailing will be turned around as efficiently as possible on my end. Have a great Wednesday and Happy Stampin!